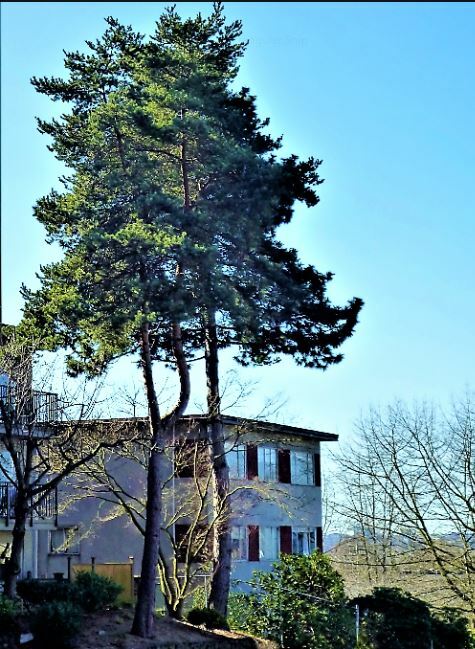 I did the walk yesterday in the finest weather of the year so far; gorgeous light and warm enough to do without a jacket — marvelous! 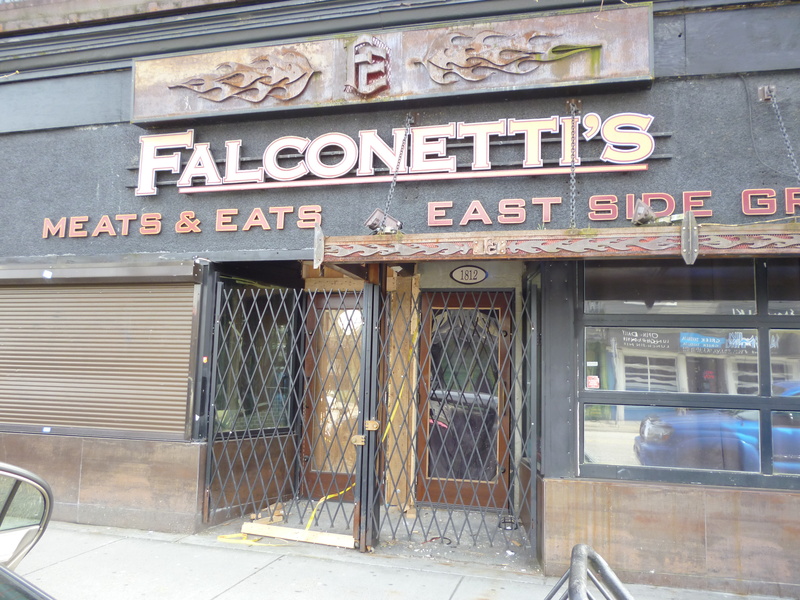 There are no changes at the southern end of the Drive, not until the 1800-block where, to the surprise of many, Falconetti’s has closed; both the cafe and the meat store. The butcher, as Falcone Brothers, had been a fixture on the Drive since 1968. At 1670 Commercial, The Drive Coffee Bar has started a weekly story telling series. 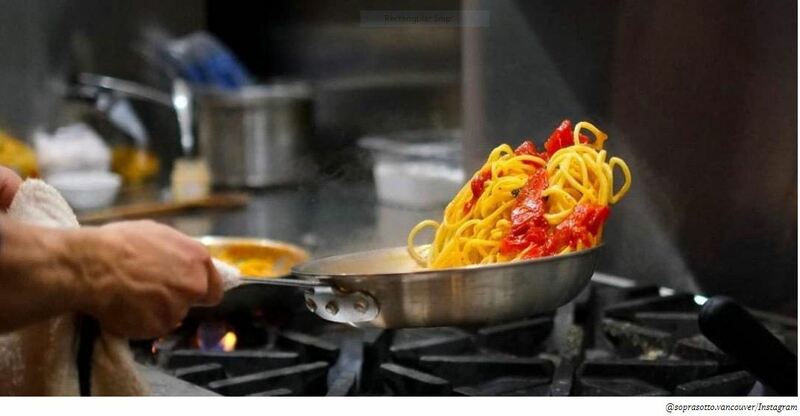 The Merchants Workshop at 1590 is a finalist for both Best Brunch and Best East Side restaurant in Vancouver Magazine. Black Dog Video, at 1470 Commercial, celebrated its 22nd anniversary in March. It may be the last video rental store in the world. 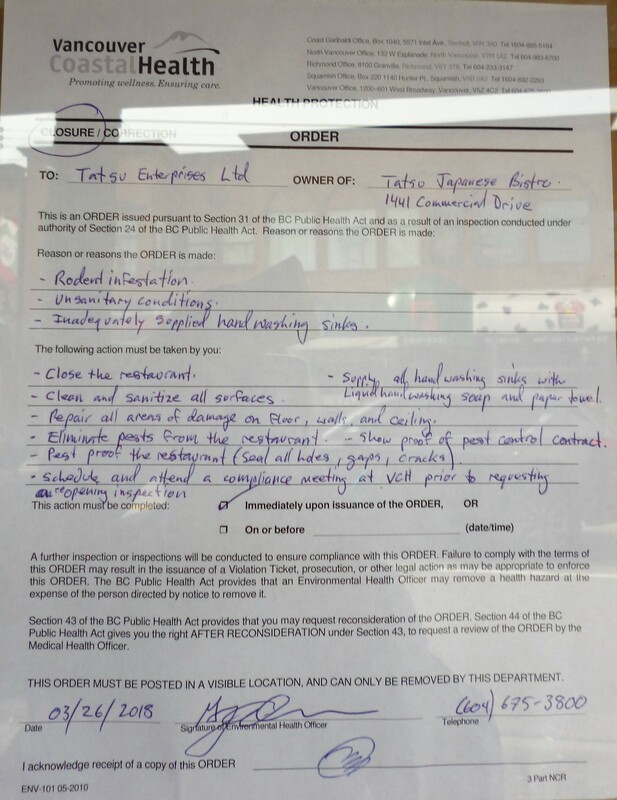 Across the street, Tatsu Sushi at 1441, which used to have a stellar reputation for its fine sushi presentations, has been slapped with a close order from Vancouver Coastal Health. There were, it appears, a number of serious issues and I don’t know when it will reopen. 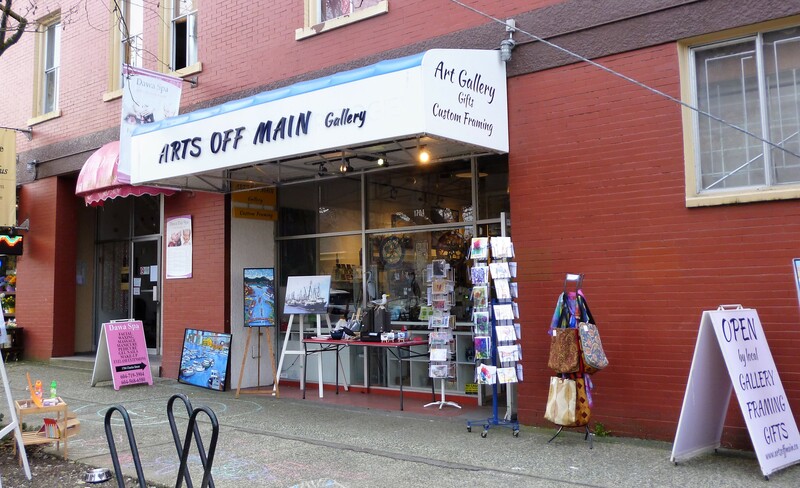 In that small retail enclave on Charles just east of the Drive, the Off Main Gallery has opened. It has an interesting backstory. The Havana at 1212 Commercial has now closed for about three weeks for its major renovation (see Changes #78 for full details). Here is the Daily Hive’s discussion. The Kulinyara restaurant at 1134, has apparently begun boodle fights (yes, your guess is as good as mine). You may recall that I wasn’t really enamoured with this place when it opened — perhaps a food fight will liven it up! 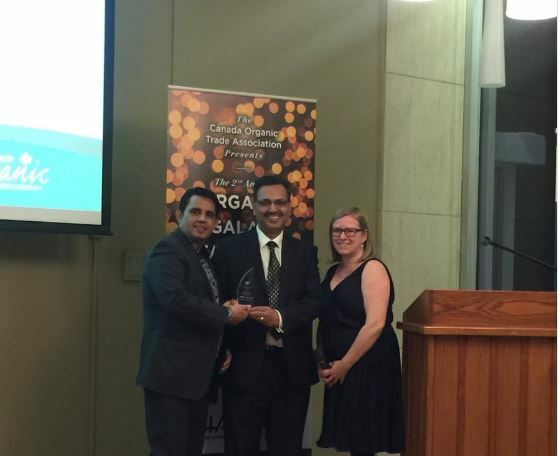 Sweet Cherubim, at 1105 Commercial, won the 2018 Organic Retailer of the Year award from the Canadian Organic Trade Association. The Napier Greenway has a blossom tree that has opened before most of the others in the neighbourhood. 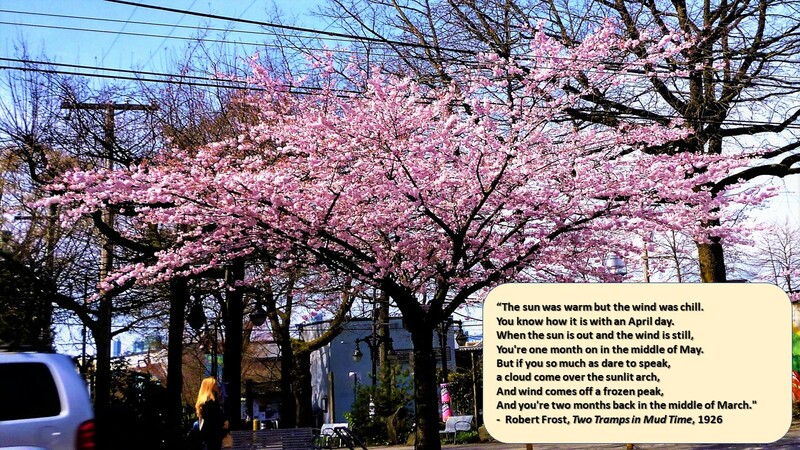 It is stunningly beautiful after the gloom of winter. The former Bosa Grocery at 956 Commercial is still vacant but the “For Lease” signs have disappeared. I wonder if that is good news? And to complete this month, Kin Kao, at 903, is a Best Thai finalist in Vancouver Magazine. 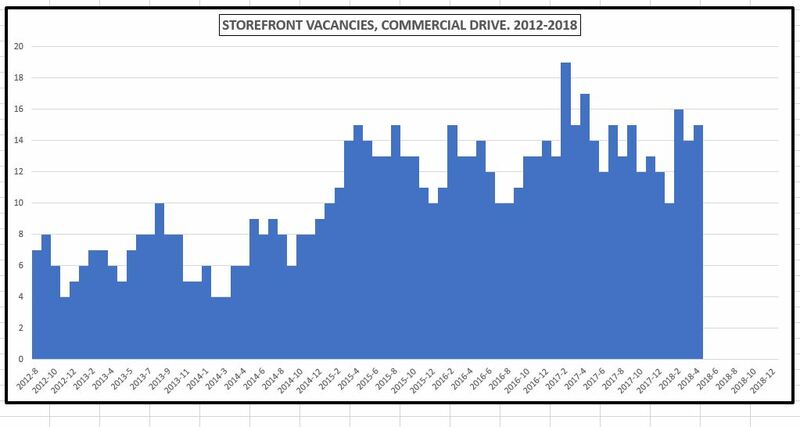 Vacant stores on the Drive this month: 2260 Commercial (3 months vacant), 2082 (3 months), 2084 (3 months), 2086 (3 months), 2088 (3 months), 1803 (15 months), 1810 (1 month), 1812 (1 month), former Strawberry Bakery in Il Mercato (39 months), 1303 (17 months), 1268 (7 months), 1151 (3 months), 1108 (45 months), 1046 (3 months), 956 (6 months). Previous editions of Changes on the Drive. 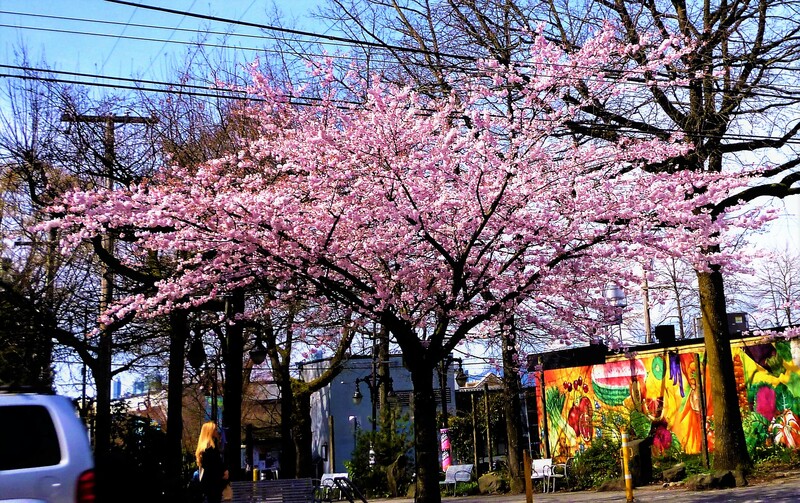 You are currently browsing the Jak's View of Vancouver v.3 blog archives for the day Sunday, April 1st, 2018.